Blocking website for parental control is used to prevent child misusing the internet. You can either try tampering with your operating system’s host file, or you can fiddle with browser extensions. 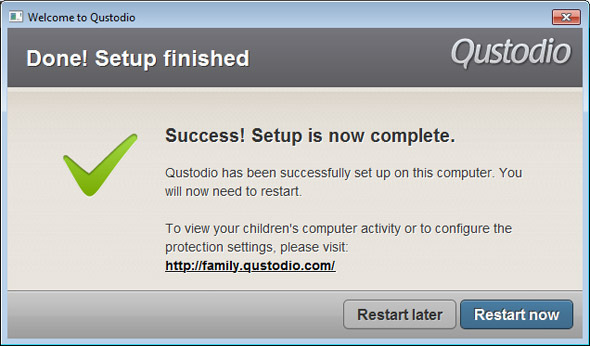 Qustodio is an Internet filtering parental controls program that was suggested to me by one of our readers. You can download the file from the official website of qustodio & it will set one Exe file worth around 500 KB. After downloading the setup file, install it on your computer, that will download the software and install qustodio software on your computer. Qustodio will monitor your child’s activity on social networking websites, chatting applications as well as surfing behavior. You can easily block specific categories that generally abused by children. Qustodio’s web portal allows you to monitor and manage their activity from any location or device. You will have all summary of internet usage by your child like browsing activity with site’s name, searched keywords and category wise activity.You can easily set internet usage schedule to limit your internet using time. You will have all summary of internet usage by your child like browsing activity with site’s name, searched keywords and category wise activity. You can easily set internet usage schedule to limit your internet using time. Whenever anyone browses any website that has been blocked by Qustodio or category filter, he/she will see a message saying that for your safety, this page has been blocked. I’ve been using Qustodio for a while now and love it. Besides blocking harmful content, I can even see who my daughter is talking to on Facebook as it captures the profile pictures of the accounts she engages with. Controls embedded in browsers are pretty basic.